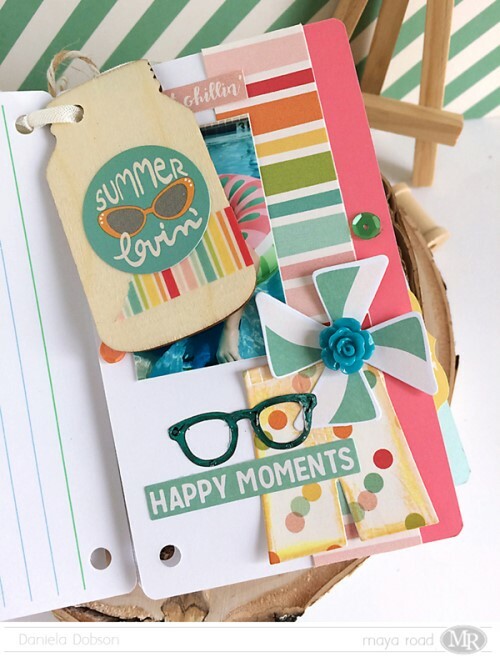 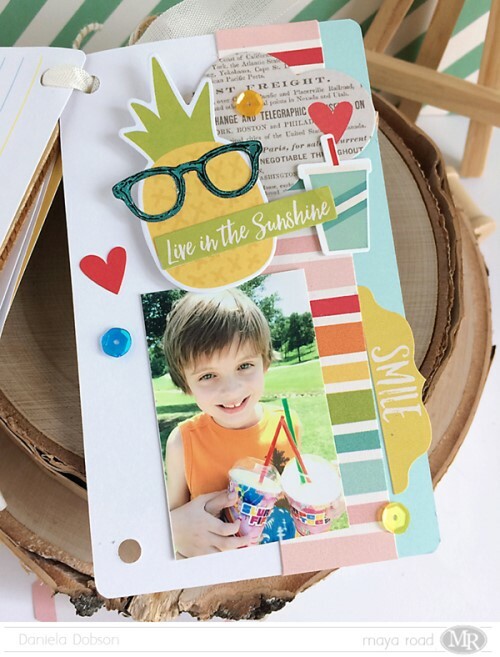 Daniela Dobson created a little mini album using index cards full of summer memories. Let’s see how she did it. 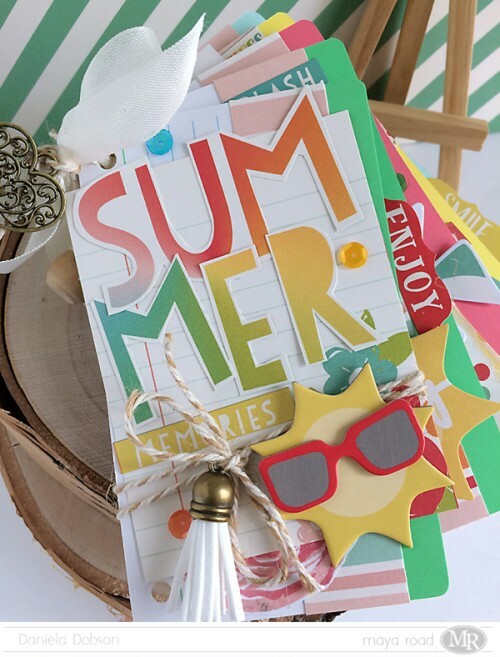 I cut the word out of one of the cards and layered a cluster of chipboard pieces along with Jute & Twine Cording and Vintage Crafting Tassels (Gold Cap) – Milk White . 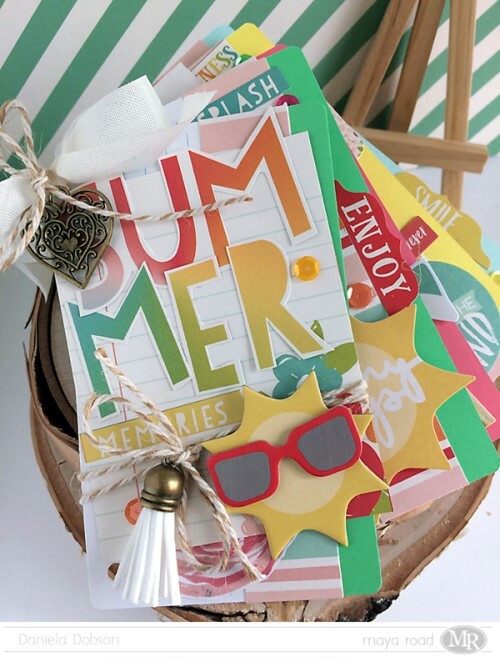 For this little insert, I filled Basics – Glassine Bags – 2″ x 3.5″ with sequins and added washi and stickers to the front.